If you need someone to cut up your bear, buffalo, deer, caribou or any wild game at a reduced rate, then this is the place to go. 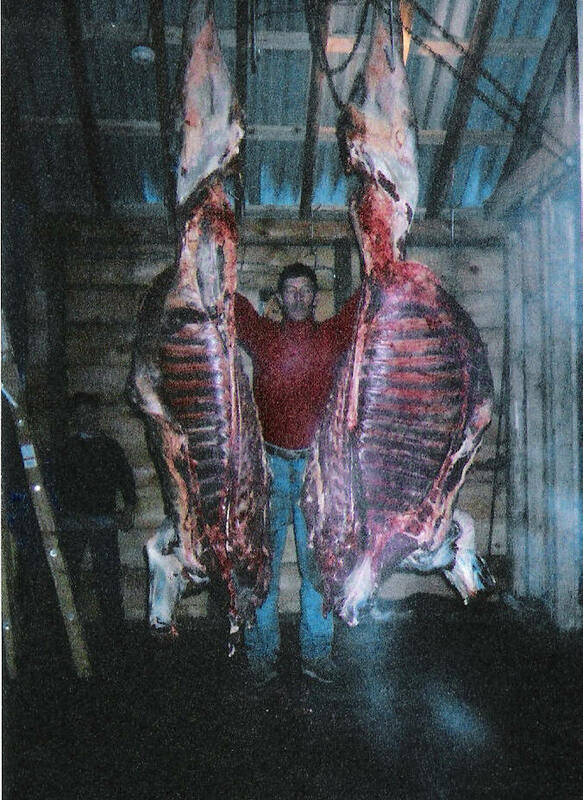 Jim Gage has only been running his meat cutting shop for several years now but he has been slaughtering and cutting meat his entire lifetime. There is a difference between a “butcher” and a “meat cutter”. 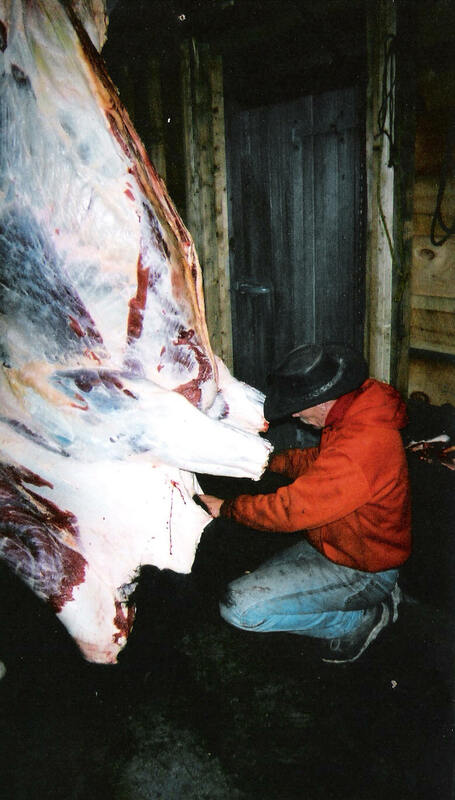 Remember that you want a “meat cutter” not a “butcher” to prepare your game animals. The difference is clearly seen by the quality and the cuts that Jim puts out. He does everything from slaughtering, gutting, and “caping” for mounts. He also makes two different types of sausage. They are the best that I have ever tasted! Jim hand cuts all meat using knives, so you don’t have to worry about bone chips in your meat. All meat is professionally packaged in plastic wrap then wrapped in freezer paper for a long freezer life. I am sure that Jim and Barbara Gage will treat you right. So give them a call for all your meat cutting needs.